If you have other photos or memories of this school to share, please contact us. 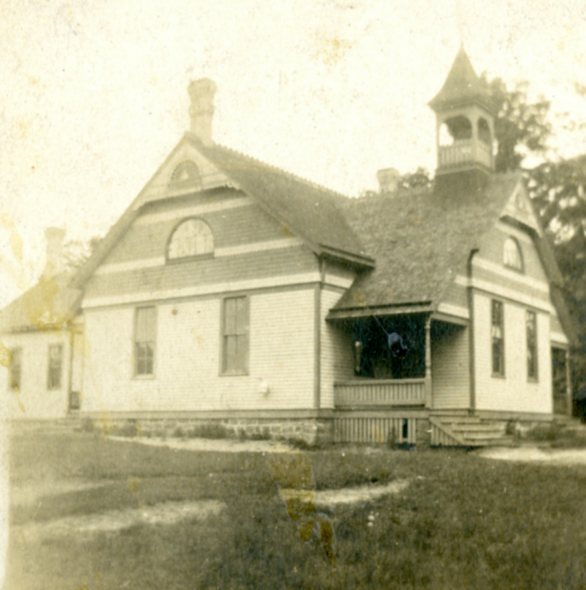 The first schoolhouse built was in 1874. It was also added to and repaired in 1894. Enrollment in 1898: 108 students. The 1894 addition cost $2,500 and helped to repair and refurnish the building, including an addition of a cloak room and hall. MEMORIES: “A great deal of interest has been taken during the past year in the library, which contains 141 books of choice literature. It has been very helpful to the pupils in giving an additional source of knowledge… how important it is that parents and teachers give careful attention to the kind of books the children read.” – Stillwater Gazette, September 1898.